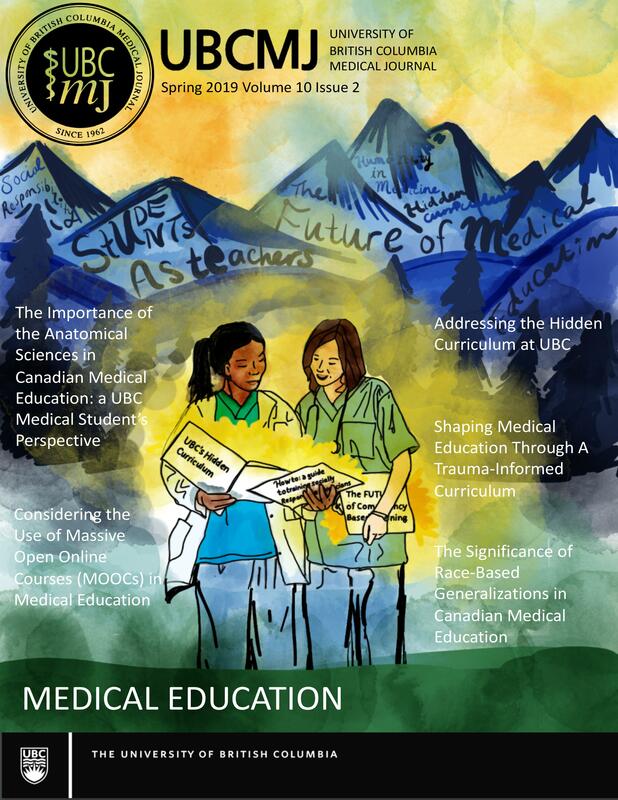 The University of British Columbia Medical Journal (UBCMJ) is a student-driven academic journal with a goal to engage students in dialogue in medicine. Our scope ranges from original research and review articles in medicine to medical trends, clinical reports, elective reports and commentaries in the principles and practice of medicine. We strive to maintain a high level of integrity and accuracy in our work, to encourage collaborative production and cross-disciplinary communication, and to stimulate critical and independent thinking. How are Canada’s doctors being trained to address the needs of marginalized populations across the specturm of medical education?